One of the more ridiculous claims of direct cinema was that truth could best be accessed by minimizing the role of the filmmaker as much as possible. To be fair, the claim was made more often by theorists and certain ardent acolytes than by the major direct cinema filmmakers. Frederick Wiseman, for instance, sometimes called his films “reality fictions.” But when direct cinema was the ruling paradigm in documentary filmmaking, objectivity was seen by many as the very essence of nonfiction cinema. The rise of reflexive and performative documentaries over the last several decades has greatly undermined such claims, but the strange notion that a good documentarian isn't biased still clings to life in some darker corners. In 1989, Kiarostami read a magazine article about a man who impersonated Iranian filmmaker Mohsen Makhmalbaf. The working-class drifter had somehow conned a middle class family (the Ahankhahs) in Tehran into believing he was the famous director, promising to cast them in his next film. Though his ruse only lasted a few days, he went so far as to conduct rehearsals at their house before his arrest. Kiarostami, collaborating in part with the real Makhmalbaf, hurriedly assembled a crew and rushed to interview the man in question, Hossein Sabzian, who was in prison awaiting trial. 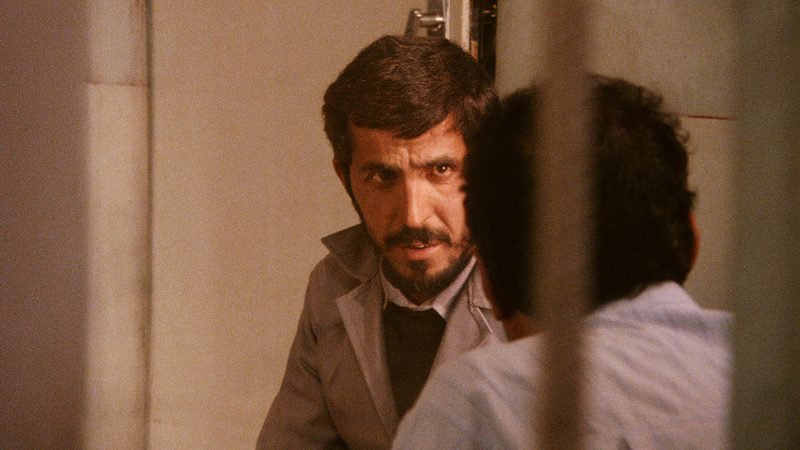 From the very start, Kiarostami emphasizes his manipulative role as a filmmaker. While interviewing Sabzian in prison, he promises to get the trial date moved up, not so much to assist the accused as to accommodate his shooting schedule. And when Kiarostami interviews the Ahankhah family in their home, he does little to assuage their suspicious that he, like everyone else involved so far, is looking to profit from their story. This includes the reporter, Hassan Farazmand, who originally broke the story and kicks off the movie in a scene recreated by Kiarostami. Riding in a cab to the Ahankhah household along with two somewhat bored police officers, the excited Farazmand tells the cabbie that he thinks this story is going to be a real “Oriana Fallaci” moment for him, a reference to the then-famous Italian reporter who had scored many big interviews. All of the actors play themselves but “play” is the key word because they are certainly actors who style their performances for the camera. While this is obviously true in the recreated scenes, this is just as apparent when Kiarostami films Sabzian’s trial, the real trial, yet also a scene staged for the film. The director not only succeeded in getting the trial moved up and in securing special permission from the judge to film it, he actively participates in the interrogation of Sabzian, steering his testimony at several critical junctures. Indeed (though this is not acknowledged in the film), Kiarostami influenced the judge to push the family to drop charges against the defendant, something they apparently were reluctant to do. But it made for a better story. So much for objectivity. Kiarostami’s blending of fiction and nonfiction techniques produces a film that can be peeled back layer by layer, revealing something new at each level. Paradoxically (or maybe not) it is the fully fictional scenes that most underscore the documentary power of the camera. When the reporter and the police arrive at the Ahankhah home, they enter, but the camera stays outside with the cab driver (Houshang Shamai) as he kills time, kicking at leaves and playing with an empty canister. He would have no place in the “official” account of Sabzian’s story and likely would not have been filmed in a straight-up documentary, but by staging the scene Kiarostami is able to emphasis whatever elements he considers most relevant without the limitation of whatever actuality footage a documentary crew would have been able to capture in real time. And it’s fair to ask which scenes are more “objective” - recreations in which past events are reconstructed, or the trial when the filmmaker’s presence indisputably alters the final outcome. None of this gamesmanship would matter if not for the film’s enigmatic protagonist. Sabzian, who never really got anything out of his con aside from the opportunity to be the big man on campus for a few days, is a dreamer and an obsessive cinephile who desperately wanted to be involved in movies. Even if he was using him to get a good film out of it, Kiarostami gives him the chance. And damned if Sabzian isn’t a fine actor, whether playing himself or playing himself while playing Makhmalbaf in recreated scenes (layers and layers here). Tiptoeing the line between fiction and non-fiction also gives Kiarostami a unique opportunity to fret over the powerful role of cinema in society, and not just in regards to his own interfering presence. I am absolutely stunned that the family would agree to act in recreations alongside the man they accused of conning them. Mrs. Ahankhah goes so far as to sit next to Sabzian on a bus and act out their initial meeting when he made the impulsive decision to sell himself as Makhmalbaf. In Iran, as in America, it seems that some people are willing to do just about anything to get on camera. Kiarostami’s direct implication here is that the Ahankhah family was trying to use Sabzian as much as he was using them. As it turns out, they all got what they wanted: the chance to be in a movie. “Close-up” is both easily accessible (none of those 10-minute shots of people driving that frustrate Roger Ebert so much) and extraordinarily complex. Kiarostami cites it as his favorite of his films. I won't argue. The film is presented in its original 1.33:1 aspect ratio. The trial scenes were shot in 16mm and the rest of the film in 35mm so there’s obviously some variation in image quality between the two. The courtroom footage looks a bit bleached out but that is doubtless endemic to the source print. “Close-up” was previously released by Facets on a respectable interlaced SD transfer in 2002 and it seemed perfectly serviceable at the time, but this 1080P is, as you would expect, an improvement in every way. The source print here seems to be much stronger and the restored transfer is very sharp overall with a fine grain visible in the 35mm and, obviously, a rougher grain in the 16mm scenes. The high-def transfer is very sharp with a soft, naturalistic color palette. The film is presented with an LPCM Mono track. The sound design is fairly straightforward so there’s not a lot to say here seeing as how I couldn’t really tell you whether or not the Farsi dialogue is all clearly rendered, but I don't notice any distortion. 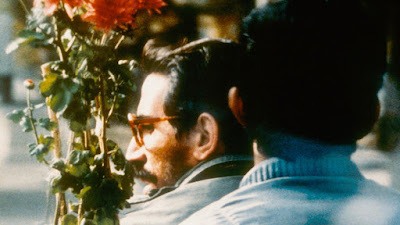 The sound drops out in the final scene, but this was an intentional artistic choice by Kiarostami rather than an on-set malfunction as is claimed in the film. More layers. Kiarostami discusses this in his interview included as an extra. Optional English subtitles support the Farsi audio. Criterion has more than done justice to Kiarostami’s wonderful film. First up is the commentary track by critic Jonathan Rosenbaum and author/teacher/filmmaker Mehrnaz Saeed-Vafa, both based in Chicago. Rosenbaum has long been one of Kiarostami’s most eloquent Anglophone champions. Saeed-Vafa and Rosenbaum co-wrote the book “Abbas Kiarostami” which was, I believe (don’t take my word for it though), the first English-language book about the director. Their expertise and their admiration for the film are readily apparent. They opt for a more contextual discussion rather than a close textual analysis though they provide both at times. I only listen to a handful of commentaries from start to finish, and this is one of them. “‘Close-up’ Long Shot” (43 min.) is a fascinating follow-up documentary directed in 1996 by Mahmoud Chokrollahi. The documentary consists of a lengthy interview with Sabzian and shorter interviews with some of his neighbors. It’s quite an eye opener as Sabzian is not exactly thriving after “Close-up.” Perhaps still playing the role of Sabzian, he styles himself as a victim of the disease of cinephilia, one that has destroyed his life (Ed. Note: I hear ya, brother) while still providing it meaning and structure. This makes a strange companion piece to the creepy “Cinemania” (2002). According to Geoffrey Cheshire in the liner notes, Kiarostami was horrified when he saw this documentary. This is simply an amazing extra. The disc also includes a 2009 interview (27 min.) with Kiarostami shot in Marrakech while the director was serving as president of the Marrakech Film festival jury. There’s a lot of great information included here that you might not find in other sources, such as the aforementioned discussion of the use of sound in the film’s final scene. The final feature is “A Walk With Kiarostami” (31 min.) directed by Iranian film professor Jamsheed Akrami (who also directed the 1990 documentary “Friendly Persuasion: Iranian Cinema After the 1979 Revolution.”) Shot in 1991 in Galway, Ireland, the feature lives up to its title. Akrami walks with Kiarostami as the director takes a series of nature photos. The conversation is relatively general in nature (a bit superficial really), touching on photography, philosophy, etc., and it’s not as revealing as the other features here, but it’s still interesting. The 12-page insert booklet includes an essay by critic and filmmaker Godfrey Cheshire. 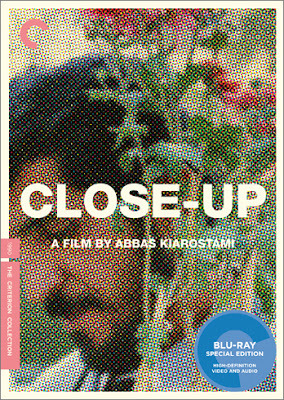 “Close-up” was a festival breakthrough both for Kiarostami and for post-revolutionary Iranian cinema which became the happening national film movement of the '90s on the international circuit. 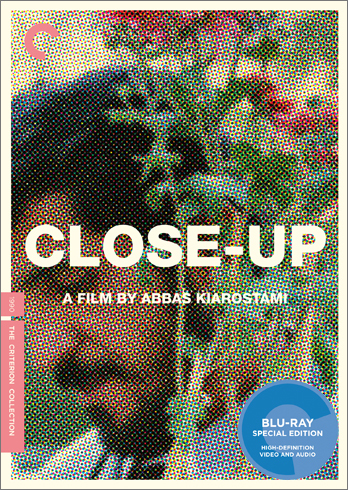 “Close-up” was too much of a surprise hit to garner major awards, but it blazed the trail for “A Taste of Cherry” to take the Palme d’Or in 1997 and also shaped international critical reception of filmmakers like Makhmalbaf and the equally great Jafar Panahi. I wrote the bulk of this review back in 2010 when I was already dazzled by “Close-up.” In 2016, with several more years to reflect on it and re-watch it while also getting to know even more of Kiarostami's filmography, I now not only consider it the director's best film, but one of the best films I have ever seen. Jean-Luc Godard once described Robert Bresson's masterpiece “Au hasard Balthazar” (1966) as “the world in an hour-and-a-half.” The same can easily be said for “Close-up.” It certainly showcases the Kiarostami hallmarks in an hour-and-half: inventiveness, clarity of vision curiosity, and, above all, compassion.